For my final stop in Patagonia I caught a bus 100km south of Bariloche to the small town of El Bolsón. El Bolsón is known in Argentina for the typical Patagonian trekking and mountaineering experience, fly fishing, art, its regular markets, micro-breweries and for being a hippie town. The label of hippie town was what caught my attention and is the tag line that draws most other travellers to the town. I only spent a couple of days in El Bolsón and while it did seem like a nice small community in a great location, I didn’t find a lot to actually make it a hippy town. The sculptures in and around the town centre were pretty cool, but the markets were fairly typical selling many of the usuals: home-made jewellery, carved wooden things, sewn items and a myriad of different semi precious stones. …and one 1,600m tall range. The trekking did look amazing but El Bolsón is in Patagonia. But since my visit was during a rainy last week of autumn, I hadn’t planned to go hiking. While my visit to El Bolsón was inexpensive and relaxing, with winter arriving, it was time to head to warmer climates. After a brief stop off back in Bariloche, I headed north into the desert to the wine region of Mendoza. Ninety minutes by bus north of Osorno in the Lakes District of Northern Patagonia is the town of Pucón. 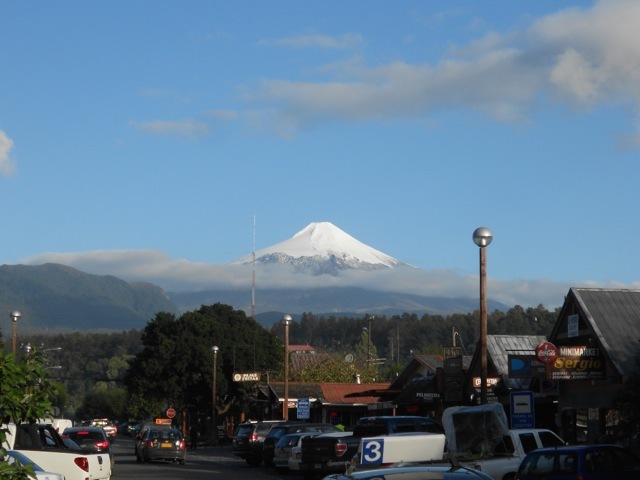 Nestled between the shores of Laguna Villarrica and the imposing cone of Volcán Villarrica, the large town has the reputation as somewhat of a party town. Like the rest of Patagonia, the tourism industry here is rather rife based around climbing the volcano in summer or skiing it in winter. I had come in Pucón with the intention of hiking the Villarrica Traverse, a 6-day trek around the bases of Volcánes Villarrica and Quetrupillán, but the weather hadn’t looked so good. The forecast had spoken of some rain followed by a week of sunshine, not surprising for the end of autumn, so I decided to wait it out. 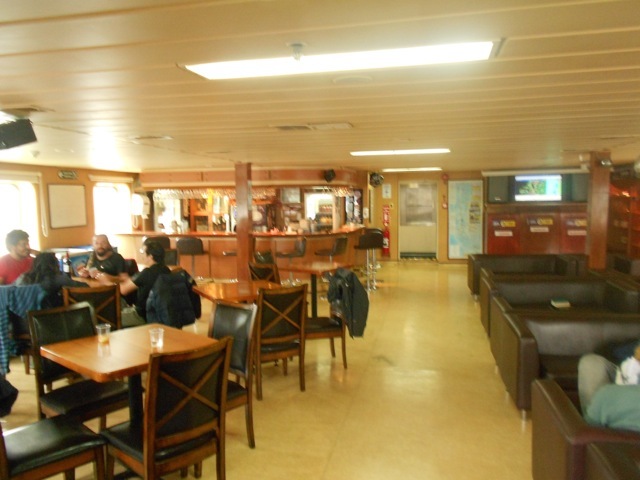 The first hostel I stayed in was El Refugio and had a couple of kiwi guys working there. The good thing about it was that it was right next to the bus terminals. The bad thing about it was that it was right next to the bus terminals. 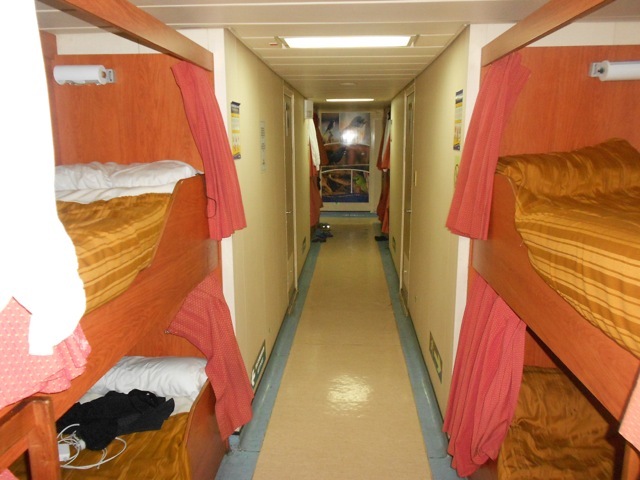 There was nothing wrong with the hostel beyond it being the busiest one in town, even in the low season. To accommodate that fact, they’d built a pair of large dome tents in the back yard that slept 6 in bunks. 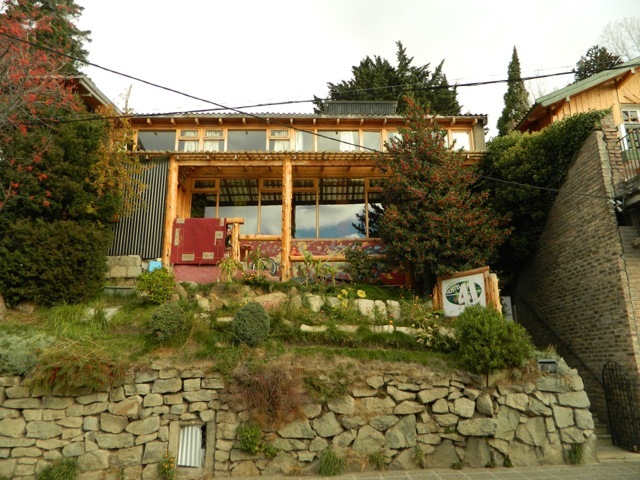 Because it had been so busy, I only stayed a couple of days before moving to another hostel, Paradise Pucón, this one owned by a kiwi guy. 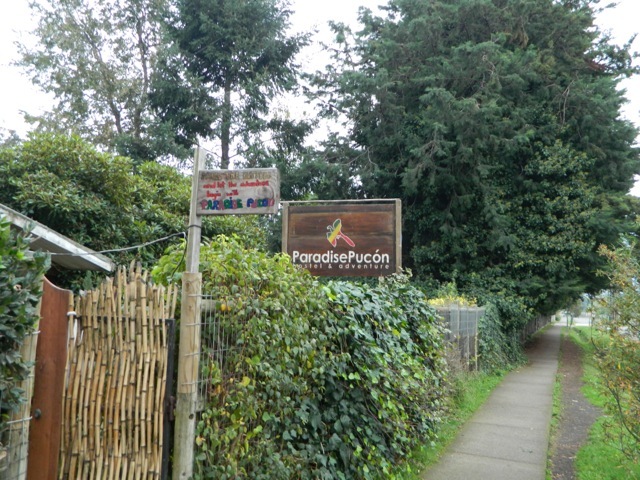 Paradise Pucón had a reputation as being a party hostel in high season. But as it was low season, the parties had mostly died down. Unfortunately, the rain didn’t let up with no sign of respite, so I took advantage of it by catching up with my writing. Long term travelling works best when you take long breaks between periods of movement. I located a nice cafe in the centre of town that made good coffee and scrambled eggs – Cafe Agora – and got to work. I also found an awesome restaurant for dinner run by an American couple which had the best burgers and a nightly happy hour. Latitude 39 is a must visit if in Pucón. There are numerous hot springs near Pucón and one night the hostel owner drove a group of us guys to one. Bringing plenty of beer we sat in a pool about the size of a regular spa pool drinking and enjoying the heat. Then after a while, as a group, we climbed down to the river and threw ourselves in, before climbing back into the hot pool. A great night! The next day Pucón hosted the annual chocolate festival – chocolate production being very big in this area of Patagonia. There were many tables for tasting and buying different chocolates, and in the corner of the tent there was even a chocolate volcano. The volcano proved popular with the kids as at the end of the festival it was broken into pieces and handed out. The party life in Pucón is pretty good, I was taken out by the owner and one of his workers – another kiwi guy – to a couple of the local clubs. Three kiwi guys on the party… Gringos are treated highly in clubs in South America and this being the first one I’d been in, I felt everyone’s eyes on us. Being the only three gringos in the club, we were also getting great drink deals. 6 drinks for the price of 2! It turned out to be a great night, even though I couldn’t talk to many people. Then, after being in town 12 days, I decided to give up on the traverse and just climb Volcán Villarrica, a popular day activity. Overall, Pucón was a lovely place to spend a couple of weeks, I made some friends and caught up with my writing. 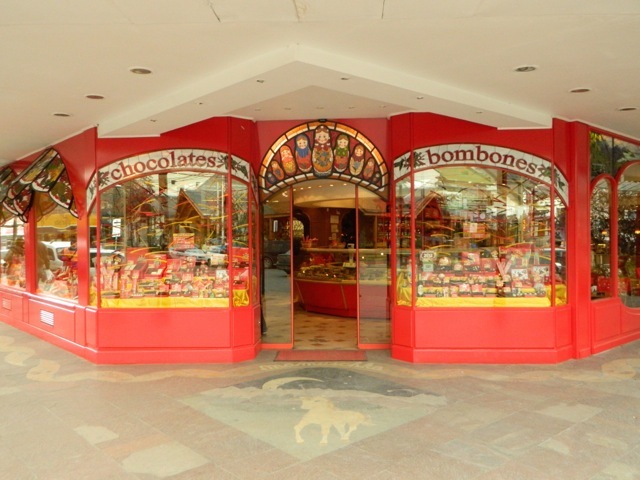 Next, I crossed the border into Argentina to the Chocolate capital of South America, Bariloche. Just an hour by bus north of Puerto Montt is Osorno, a small city in the Lakes District of Northern Patagonia. Osorno sits under the volcanic cone of Volcán Osorno, is home of the National Cattle Ranch of Chile and has a heavy german influence. Osorno is typical Chilean city with some very spanish markets, far too many stray dogs and cheap beer. I stayed at Hostal Vermont, 10 minutes walk from the bus terminal in the city centre. The main streets and shopping malls are characteristic of larger cities with many bustling shops and people. 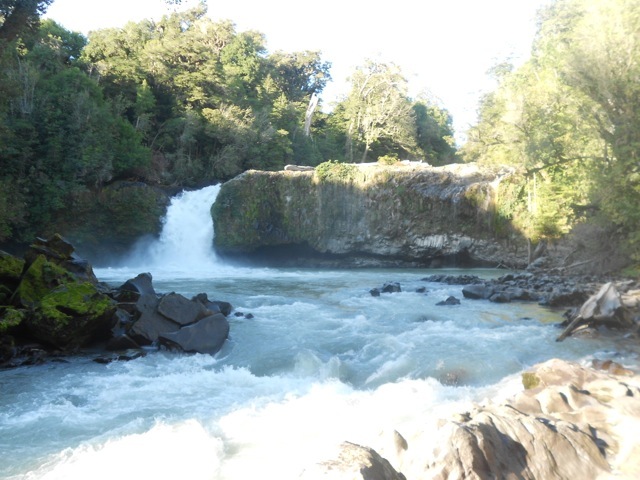 I came to Osorno for one reason, a hike in the neighbouring Parque Nacional Puyehue called ‘Baños del Caulle’. The hike climbs the side of Volcán Puyehue to the rim, walks around the side and down to a set of hot springs, the ‘baños’. This had originally a 4-day hike but I discovered that two years earlier, an eruption on the baños side of the volcano had destroyed the hot springs. I decided to do the hike anyway, climbing to the volcanic crater and camping further down. As I prepared for the hike, the hostel owner informed me that one of her previous guests hadn’t returned from the hike. Three other’s had seen him there and had returned, but he had not. This didn’t worry me, and it turned out two other guests at the hostel would be doing the hike also. To get to the national park in low season I had to catch a bus to a point about 20km from the trailhead and hitchhike the rest of the way. I was finally picked up after walking 12km and dropped off at the hike’s registration point where I could see the cone rising into the clear blue sky. On arrival I was told the police had closed the hiking trails as they were conducting a manhunt for the missing man. That night I stayed at a small hotel next to the National Park called Anticura. Close by was the river and several waterfalls. By morning, they still hadn’t located the missing hiker and park was still closed as they were continuing the search. The weather had also turned, so I decided to head back. I flagged down a bus heading from Bariloche, Argentina to Osorno and an hour later was back in town. The next day, I boarded a bus to Pucón, the party capital of Chilean Patagonia, where I was planning a 6-day hike around a pair of volcanoes. The missing walker did eventually turn up on day three of the man hunt. He’d gotten lost on the route. Just one border crossing and a five hour bus ride north from Puerto Natales is El Calafate, nestled on the edge of Lago Argentino. Named after the yellow-flowered, blueberry plant found everywhere in Argentina, El Calafate is the major access point to all ends of the vast Parque Nacional Los Glaciares. 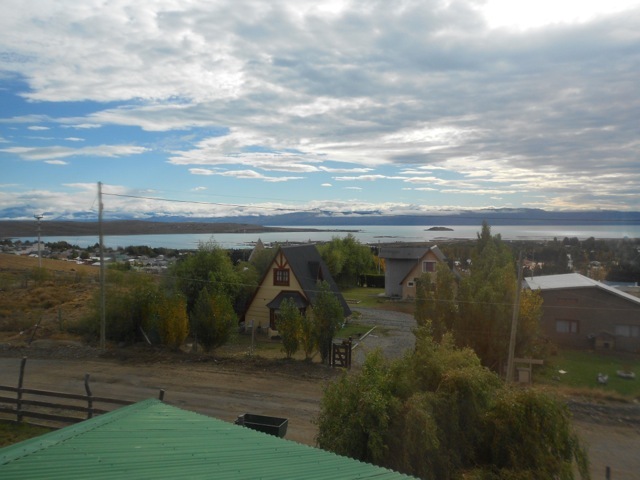 El Calafate was a pleasant place to spend a couple of days. I stayed at I Keu Ken hostel slightly up the hill with excellent views of the lake. Having the new La Anonima, Argentina’s biggest supermarket chain, only two blocks away was a bonus. I was also lucky enough to arrive the night of an asado, an Argentinian BBQ, something they have every Friday night. They served the best blood sausage I’ve ever tasted and the meat just kept coming. There was so much, in fact, I just couldn’t eat it all. It was a great dinner and cheap at 90 Argentinian Pesos (AU$18), which included beer and wine. 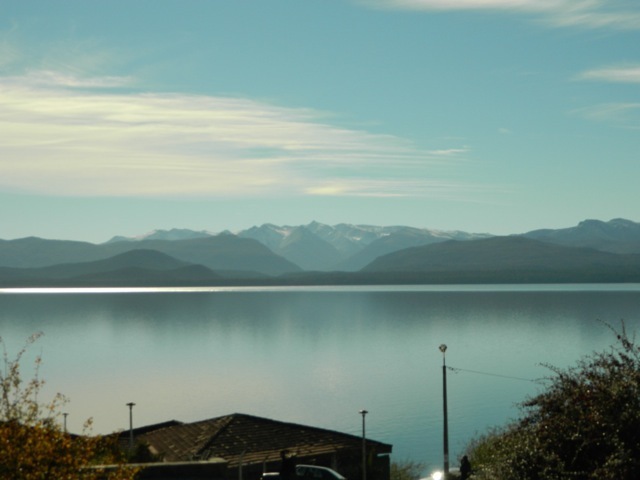 I Keu Ken also had the best internet in Patagonia, allowing me to post the backlog of my blogs and photos. While the streets around the hostel aren’t sealed, the lower portion of the city has a certain beauty. In a bare countryside with yellow, over sheep-farmed fields, the garden town was filled with trees and flowers. The main street had the usual adventure stores and tour operators seen so commonly throughout Patagonia. 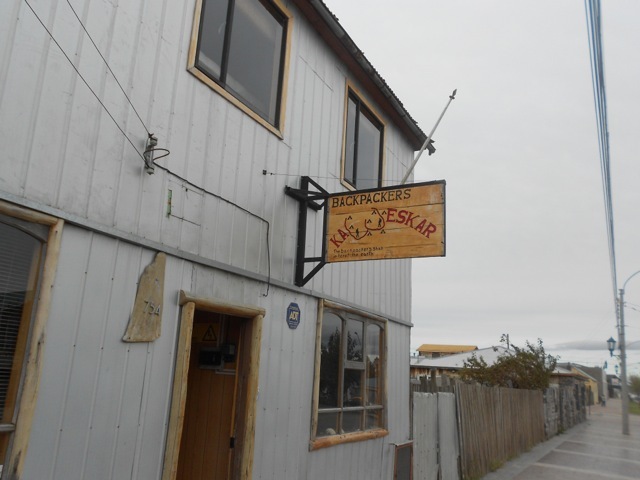 My trip to El Calafate was merely a two-day stop off on the way to El Chaltén, a township at the northern end of the national park. After 12 days in Antarctica, and 9 days of hiking around Torres del Paine, I enjoyed a restful couple of days. 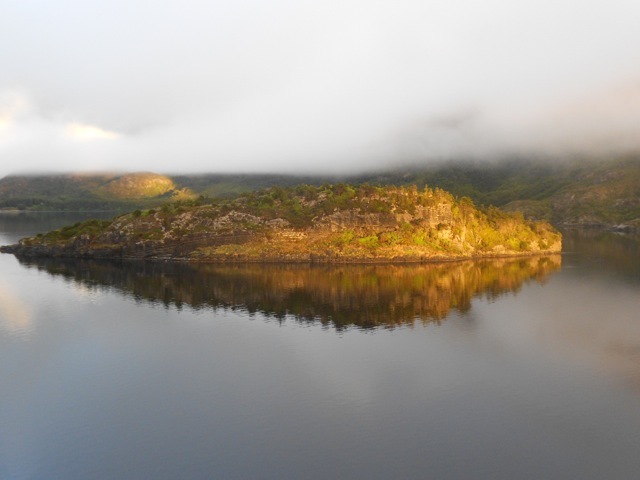 A lovely place to spend a few days and with an airport, it’s a centre point of travel through lower Patagonia. 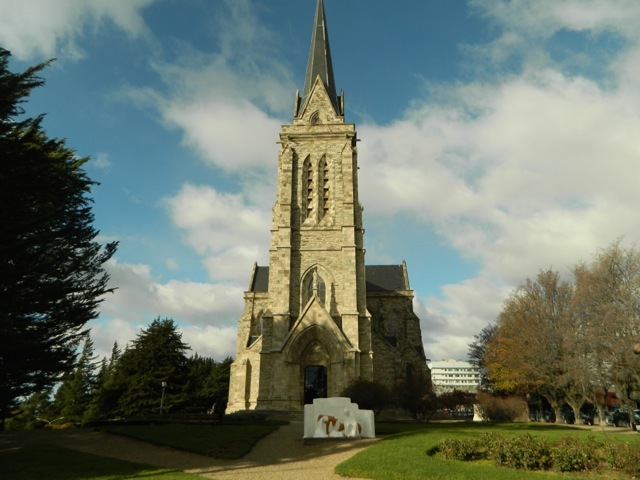 Three hours by bus north of Punta Arenas is the port city of Puerto Natales. 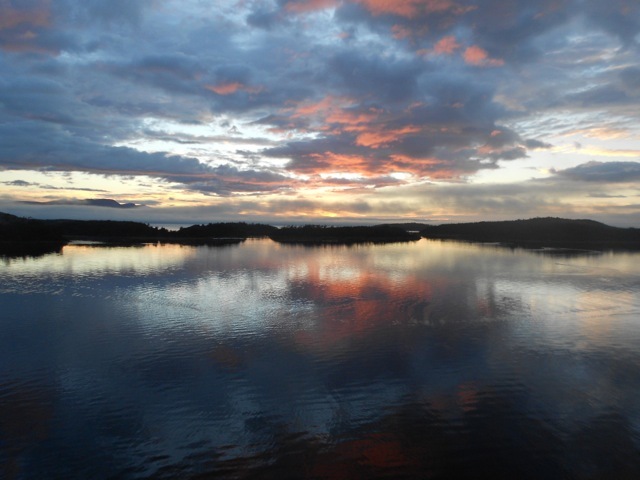 Puerto Natales was originally a beef producing fishing port, but over the years has embraced tourism based on its proximity to Parque Nacional Torres del Paine, the most popular and most expensive national park in Chile. Because of the number of people coming to walk the ‘W’ trek – the most popular hike in the national park – the city has expanded rapidly. While it still has a small town feel, the plentiful hostels, tour operators, adventure stores and restaurants makes it feel bigger. There are multiple main streets crisscrossing the city, a restaurant square, a tourist triangle and a brand new supermarket. Along most of the north and eastern horizons are the fantastic mountains of the Andes, including Torres del Paine Massif, while along the north and west of the city is the harbour. Puerto Natales is all about Parque Nacional Torres del Paine. Every hostel and many convenience stores – not to mention the adventure stores – hire out equipment, arrange tours and organise bus trips to the national park. And every day at 3PM at a bar called Base Camp there is an hour-long free lecture about the hike. The hostel where I stayed, Backpackers Kaweskar, was set up specially for the hike and can provide everything you could need, even discounted transport fees. While its owner, Omar, is crazy (in a good way), is very knowledgable about the hike and definitely loves his football. While I was there he spent two solid days playing FIFA 2012 on the X-box with one of his friends. It was the low season and he did pause when needed by someone, but it made the place feel down to earth. Definitely a recommended place to stay. 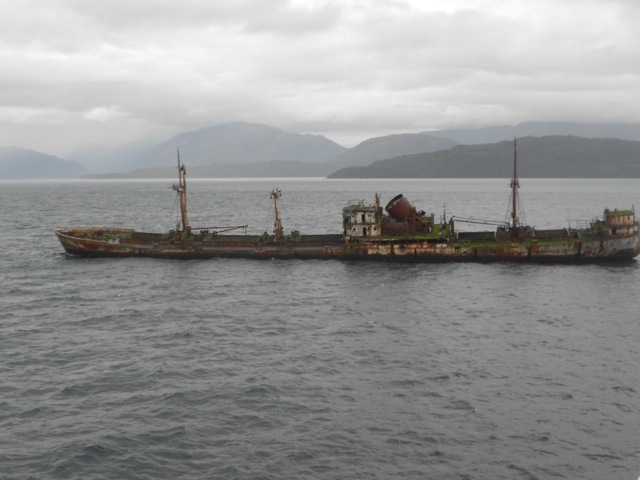 Puerto Natales is also the southern port of the Navimag ferry. The ferry wends its way through the Patagonian fiords for five days to Puerto Montt in the lakes district at the northern end of Patagonia. Puerto Natales is in a class of its own and should be on everyone’s visit list if they wish to hike anywhere in Patagonia.